Investigators in India and the US have uncovered the Internal Revenue Service (IRS) scam or what could be deemed India’s most daring telefraud. 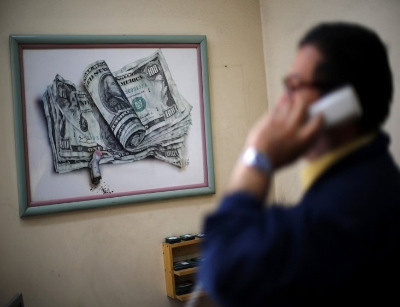 A secret operation in swing since 2013, it enabled scammers to extort millions from US citizens. 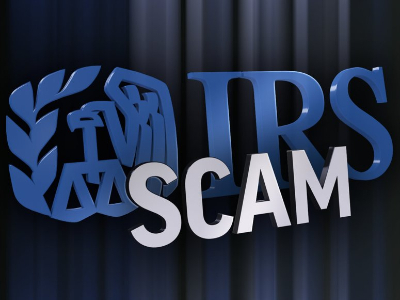 Scammers from fake call centres used the identity of IRS officers to petrify vulnerable victims and make them pay to avoid arrest, passport confiscation or seizing of their house for tax evasion. What is the recently revealed telefraud scam about? A nexus between fake call centres in parts of India and their agents in US was set up. In the preparation phase the masterminds procured American citizens’ tax records from the black market in US. They studied these records, chose their targets and trained their employees (who say they were either bribed with incentives and assurances or did not know they were part of a money laundering operation) to communicate with their target customers. An employee would then don the guise of an IRS (Internal Revenue Service – the US counterpart for Income Tax department) agent and call the victim. The caller would threaten the recipient with the possibility of a prison sentence of up to three years for evading tax. The caller would switch from threat mode to lifesaver mode – offer the victim a final chance if payment was made at once. The victim would be coaxed into the nearest supermarket to buy a federal card and make the payment through an EFTPS (Electronic Federal Tax Payment System – a legal facility introduced by the US Department of Treasury to make tax payment hassle free). Once the victim got into the supermarket the caller would switch from lifesaver mode to lifesaver and sympathizer mode – by asking the victim to buy a prepaid card instead of a federal card to avoid commission charges. The victim would also be warned to keep the call a secret. After the victim’s doubts were assuaged, the caller would switch to action mode – by making the victim purchase prepaid Walmart, Target or ITunes cards worth the tax liability amount and share the 16 digit card code. 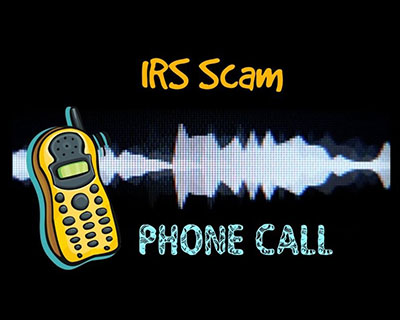 Following verification the caller would ask the victim to safeguard the card for a tax receipt from the IRS agent who – the victim was told – would hand it over personally. The Indian-US conspirator team would use hawala networks (informal money transfer based on trust rather than verification) to launder the extorted money. Why did the scammers get away for so long? They chose vulnerable sections of the American society – recent immigrants and the elderly. They were easier to terrorize and would usually obey anyone representing an authority. Among numerous examples is a lady who was repeatedly approached over three weeks and from whom the scammers extorted $136,000 by threatening immediate arrests if she did not comply with their demands. This vulnerable population could be easily manipulated and intimidated into keeping their transactions a secret. Apart from incentives on a weekly basis, employees are said to have been well acquainted with at least a few others before they joined the firm.This closeness among the employees and the pyramid style functioning where everyone played a part in bringing about success helped foster a secretive environment. It was only when an employee became fed up of the job and tipped off the police, did the authorities become aware of the scam. When do we realize the enormity of this scam? When the first set of raids took place, Indian police realized they were on to a scam that had been successfully covered up for a few years and as per initial estimates the illegal money extorted amounted to about Rs 500 crore ($75 million). In the first few days, around 700 people were detained and while most have since been released they are forbidden from leaving Thane where the first set of raids happened. As of now Indian authorities have made 75 arrests and 20 people have been arrested in the US. They have been charged with conspiracy to steal an authority’s identity, impersonation of a US authority, wire fraud and money laundering among others. Thane Police Commissioner had said at that time that this could be the iceberg’s tip and details unraveled could reveal a much huger amount. He did not rule out the possibility that citizens of UK and Australia had been conned as well. One of the members arrested said they were able to extort as much as 20,000 USD from one US citizen on a “good day”. The US Justice Department said at least 15,000 victims were robbed of more than $300 million in an "enormous and complex fraud" in operation since 2013. Where were the source locations? 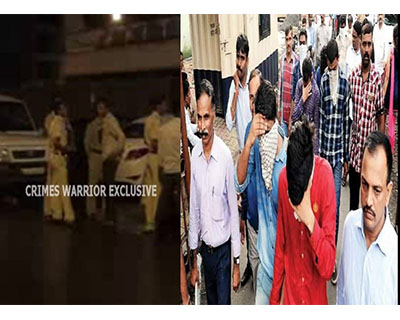 Three illegal call centres – Om IT Park, Universal Outsourcing Services and Oswal House – in a seven-storied Delta building near Royal College in Mira road were raided in the first week of October. The seventh floor of the building was used for training employees while the rest – with as many as 100 Internet connections each – were used to call the victims. Together, they made around Rs 1 crore to 1.5 crore daily. A total of 12 raided call centers in the Mira Road-Bhayander area gave insights on the scam. The follow-up raid in Ahmedabad led the police to believe it housed the “nerve center for these centers”. Five call centers - HGlobal, Call Mantra, Worldwide Solutions, Sharma Business Process Outsourcing Services, and Zoriion Communications – were raided and shut down. 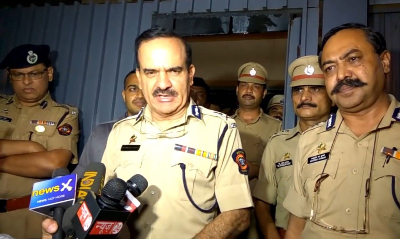 The police believe the operation started off in Ahmedabad and then branched to Mumbai. Who is said to be the kingpin of this scam? Indian police have said they are searching for Sagar Thakkar or Shaggy, as he was known. He is believed to have been at the epicenter of the enormous scam. He has also been named by the US Department of Justice. Police think he fled to Dubai in October and doesn’t seem to have a lawyer. Parag Manere, a deputy commissioner at Thane police, told Reuters the Indian police were working on the formalities to obtain an Interpol arrest warrant for Thakkar. What is known so far is that lavishness was routine to him; he could be often found driving costly cars and staying at exorbitantly expensive hotels, thanks to the millions his scam reaped. 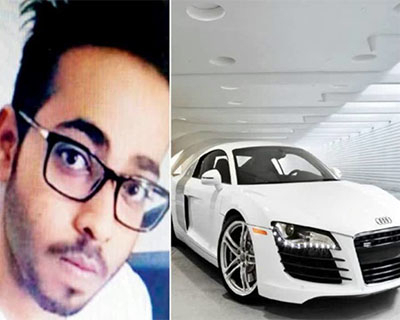 He reportedly gifted a 2.5 crore rupee worth Audi to his girlfriend. Reports on how he went about setting the stage for the scam do not agree. HT reports the police account of Ahmedabad-based Thakkar as building his core network by roping in childhood friends. He is believed to have obtained their contact details from social media. One of his arrested accomplices revealed he worked in Ahmedabad and then Mumbai. The police learned from the arrested man that Thakkar’s friends were made to take in new employees from their friend circles. He also paid rigorous attention to the details – his employees went through intensive training, had to speak with perfect US accent, rehearsed with six-page scripts, and only a select few reached the stage of getting to make the call and threaten or terrorize their clients. How has the investigation proceeded? The total amount of money robbed was yet to be known as of the beginning of November. The FBI is involved in the investigation and declined to share details. The Thane Police filed submitted an over 2000-page chargesheet before a sessions court and against those arrested for allegedly being part of the scam. The chargesheet is expected to be filed this week and an officer said there was strong evidence against the accused. Assistant Attorney General Leslie Caldwell said in October that the US would ask for extradition of suspects held by the Indian police, and issued a warning to others participating in such schemes. 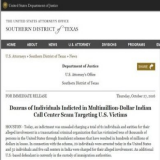 On 27 October, the US Department of Justice said on their website that 61 individuals and entities had been charged in this scam following a three year multi-agency investigation. One thing that helped in keeping track of the money launderers was their dependence on certain GPR cards (General Purpose Reloadable cards offer the convenience of a debit or credit card payment sans the legal protection), including the GreenDot MoneyPak cards. A GreenDot card requires an identity and phone number to be used. The call centres used Magic Jack devices to make unlimited international calls over Voice Over IP (VOIP) lines using any callerid number of their choice. GreenDot investigators found that the same Magic Jack number was used to register more than 4000 GreenDot cards with ids of more than 1200 different persons. This number was controlled by one Hitesh Patel, the call center manager of HGlobal. The criminals could not conceal their identities well. Hitesh used a recovery mail which is associated with a phone number used on his US Visa Application. Rookie mistake for a sophisticated scamster. As investigators followed this lead they found another clue – multiple transactions from places that were too far apart using the same card. In one instance, a conspirator used a card to buy gas on January 13, 2014 at 11:37 AM in Racine, Wisconsin. The same day at 12:46 PM groceries were purchased in Las Vegas, Nevada using the same card. Sensitize and spread awareness. 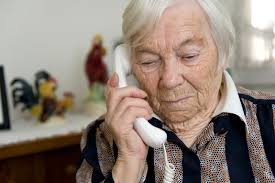 Organizations working with the recent immigrant communities and elderly could emphasize that payment for a fine will not be accepted by any law enforcement official via email or phone and that never would there be a GPR card involved. Treasury Department's Inspector General for Tax Administration had set up a reporting system on its website for those victimized to easily file a report. If anything, this teaches us how vulnerable some communities are and need the access to, attention and assurance from the law enforcement bodies. Setting up fake companies and scamming students and freshers has happened in India. This telefraud shows that the enterprise has expanded. Doing everything to ensure the victims are able to recover their lost money is a first step but should be accompanied with measures to prevent such scams in the future. Note: Reports vary on details of the investigation and only when the indicted are brought on trial and a verdict is given will we have a clearer picture.